The leading cause of death for both men and women is heart disease. In order to create awareness about the disease’s effects, Saint Anthony Hospital is proudly participating in American Heart Month. Data from the 2012 PRC Community Health Needs Assessment Report for the Saint Anthony Hospital service area shows that African American women, over 65 years of age are more likely to be affected by heart disease. In an effort to raise awareness of the issue, Saint Anthony Hospital has launched its Show Your Heart a Little Love campaign. 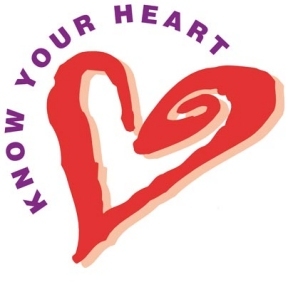 This campaign encourages the community to get a cardiac screening. The cardiac screening consists of an EKG, blood pressure check, glucose and cholesterol screening for $25. “We know that many in our community may be dealing with undiagnosed cardiac problems. We want them to take advantage of this offer and schedule an appointment to get screened,” President & Chief Executive Officer Guy A. Medaglia said. •	Halt the salt and eat a healthy diet. •	Quit smoking and stay away from secondhand smoke. •	Control your cholesterol and blood pressure. •	Get active and eat healthy. For more information, visit SAHChicago.org.